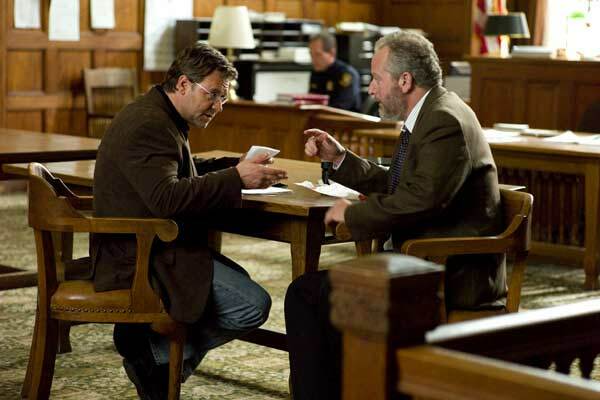 Pittsburgh Courtroom - John Brennan [Russell Crowe], argues with lawyer Meyer Fisk [Daniel Stern] for retrial. ©Lionsgate 2010. All rights reserved. 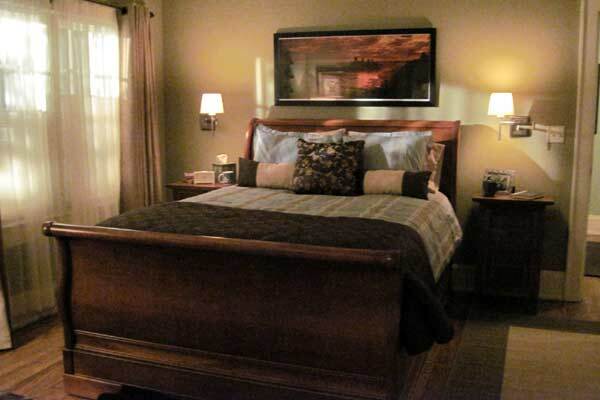 Brennan Bedroom - Prior to Laura's incarceration. 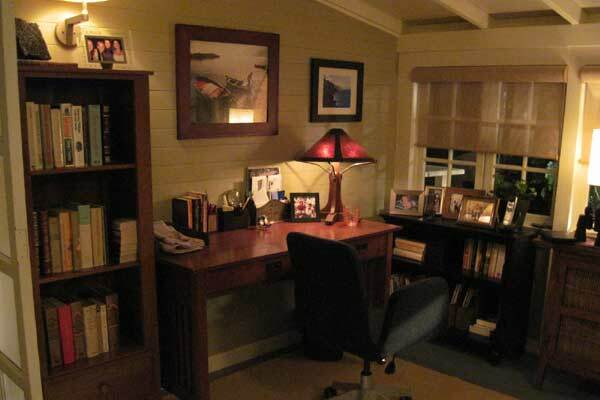 Brennan Study - Prior to Laura's incarceration. 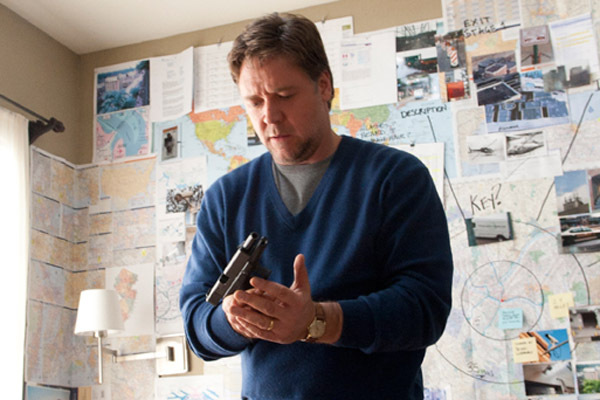 The wall... - John Brennan [Russell Crowe], prepares to put escape plans into action. Jail Visitation - Lara Brennan [Elizabeth Banks]and John Brennan [Russell Crowe] discuss her appeal. 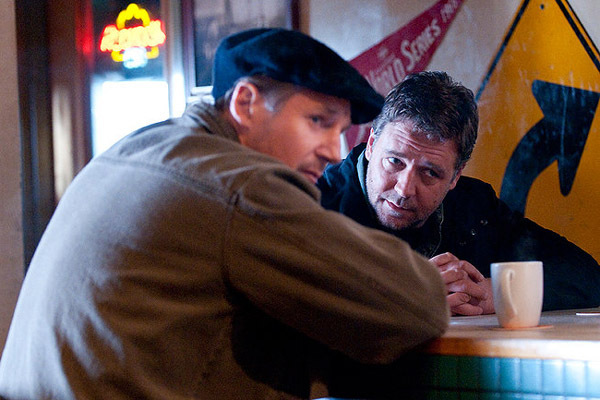 Coffee shop - John Brennan [Russell Crowe] pumps Damon Pennington [Liam Neeson] for information. In the new Paul Haggis film THE NEXT THREE DAYS, life seems perfect for John Brennan [Russell Crowe] until his wife Lara [Elizabeth Banks] is arrested for murder. Three years into her sentence, John is struggling, raising their son Luke [Ty Simpkins] and teaching at college while he pursues every means available to prove her innocence. When Lara becomes suicidal, John decides there is only one solution: to break his wife out of prison. Refusing to be deterred by impossible odds or his own inexperience, John devises an elaborate escape plot and plunges into a dangerous and unfamiliar world, ultimately risking everything for the woman he loves. Haggis imparts, “When he finds out what it takes to break her out, he has to ask himself a very difficult question: ‘Would you save the woman you love if you knew that by doing so, you would turn into someone that she might no longer be able to love?’ That's what always draws me to a subject -- a question I cannot answer for myself. … But the film is also about the nature and power of trust -- what it means when you trust someone no matter what, when no one else does, when all the evidence is against them -- when they can no longer even trust themselves." 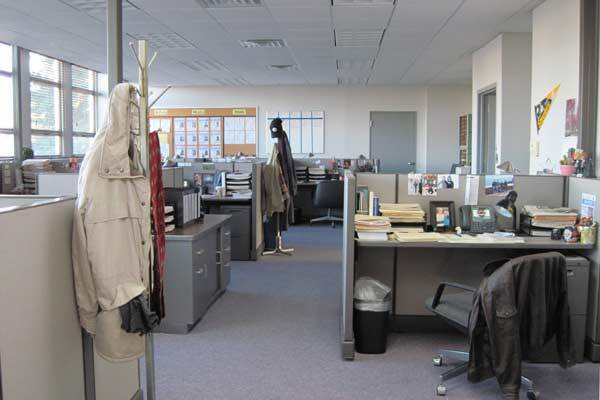 With CRASH, THE VALLEY OF ELAH and now THE NEXT THREE DAYS, this is the third time Set Decorator Linda Sutton Doll SDSA has teamed with Production Designer Laurence Bennett to bring Writer/Director Haggis’ vision to fruition. Each of these films is an extraordinary slice of seemingly ordinary lives. Each is a true rendition of place and character, as if looking into a window of real life. Doll gives us some quick insights into the films and the experience of making them. SET DECOR: What are the threads that run through these films? Linda Sutton Doll SDSA: Telling the story of ordinary people in extraordinary circumstances. In every one of these films, the main characters lives are turned upside down and they have to find their inner strength to pull them through their crisis. SD: What is unique about these films? Doll: The rawness and vulnerability of each of these characters. The truth that bad situations often do not end up "happily ever-after" – they are simply dealt with, the best way people can. SD: What is the difficulty and challenge of decorating "the ordinary"? Doll: The challenge is not to have the sets look decorated, to look like we shot in someone’s living room or bedroom and not on a stage. To have it look real yet tell a story. The past needs to be represented in a home, the set needs to subliminally tell the audience more about the character than the story tells you. The character always comes first in decorating a home, the details of their life, not my personal decorating tastes. 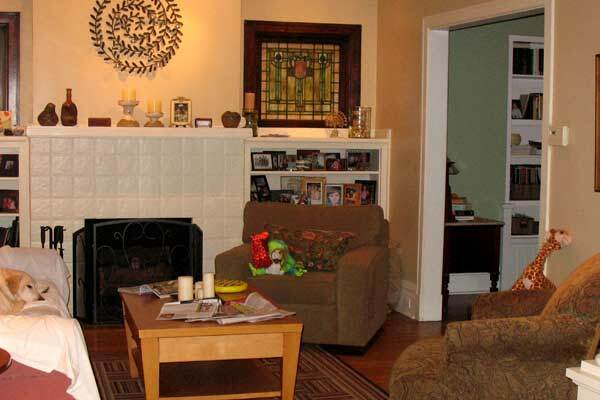 SD: What is the appeal of decorating "the ordinary" for you as a decorator? Doll: Actually, it’s the appeal of working on a well-written story, something I could be proud of saying, "I was a part of that film". SD: Please tell us about your multiple collaborations with Laurence Bennett and Paul Haggis…were there consistent rhythms, more immediate visualization? Or because each film was set and filmed in totally different locations, was each like starting all over again? Doll: Well, this is my third film with Paul and my 7th project with Laurence. It is like starting all over again in terms of the project, but the relationship is more trusting because of having worked together. It is such a pleasure to work on one of Paul's films. I love his writing, and he is always available to answer any questions that are character-driven. As for Larry, I love the creative process we go through to create a character set. He is such a gentleman and I adore working with him. Doll: The home is filled with books, lots of family photos, toys, warmth. 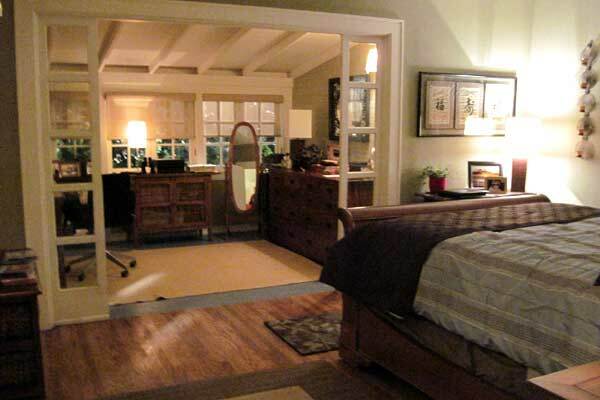 There’s a cozy study off the master bedroom. Later, we see the house emptied out, stripped of the things that gave it life. Only Luke's room is still filled with toys and color. This is John Brennan's way of protecting and maintaining normalcy for his young son, while Brennan's life is unraveling. The planning wall of photos, maps, schedules, notes is a constant reminder of the thing that drives John....to save his wife. The wall took a long time to develop and I cannot take the credit for it—that was the project of Propmaster JP Jones, Laurence Bennett & Paul Haggis. Doll: I loved that set. I decided that John's mom likes to collect ceramics of birds and kittens and angels. 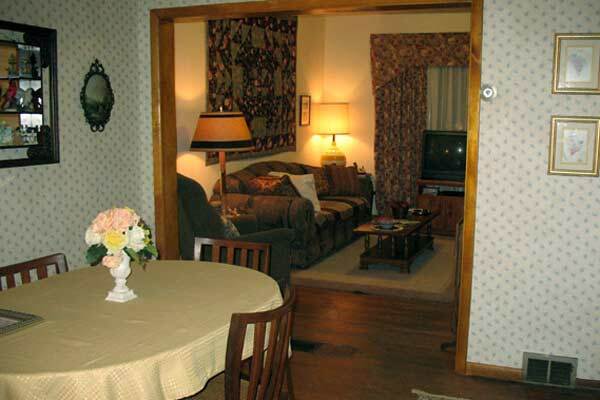 I wanted it to look very homey with a touch of arts and crafts that mom has done over the years. I had one of my aunt's homes in mind while creating that set. Doll: Someplace you do not want to be in. Filth, edginess…I kept working on the kitchen to make it look like dirty dishes and food had been there for weeks. In the midst of the grime, the large flat screen TV and speakers accentuate the importance of material things and the shallowness of the characters who inhabit it. SD: Any advice re: location shooting? Doll: Respect the people and locations you shoot in. It's their home and we are their guests. I tried to sight-see as often as time permitted, to get to know the area. Pittsburgh is a beautiful city and there is an abundance of culture and history there to enjoy and take in. SD: Haggis said he wrote the film based on the location of Pittsburgh. How was each neighborhood's individuality incorporated into the set decoration? Doll: I used artists from Pittsburgh for most of the wall dressing, particularly in Brennan's house, incorporated some of the Amish furniture for exterior scenes like at the birthday party, brought in some Gettysburg memorabilia into the police sets as well as awards and photos specific to the Allegheny police department…and of course, some Steelers, Penguins and Pirates dressing! 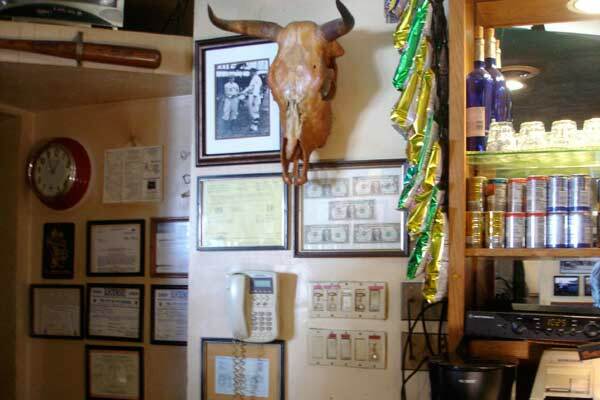 SD: Among the many sets that define place in this film were some specific locations. 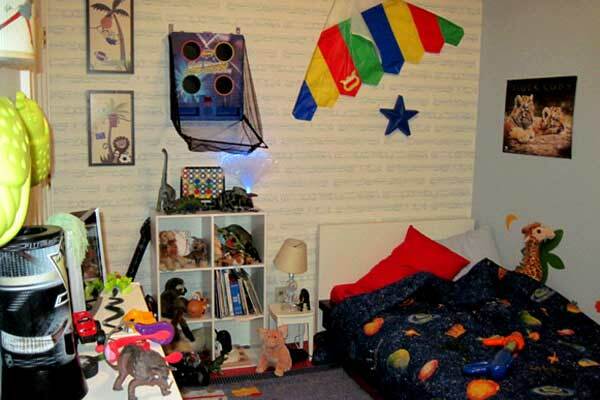 Were there special requirements for shooting in and decorating these sets, i.e. the Allegheny County Jail, the largest high-rise jail in the US? Doll: Jail – We shot the scenes in the enclosed visiting booth at the actual jail with security, but the larger visiting area was re-created on a stage, as well as the changing room, warden's office, hallway, elevator and cell. There was too much shooting to do it all at the jail. It would have been too disruptive for family members trying to visit inmates. All the officers at the Allegheny Jail were extremely helpful. Airports - We created our own TSA security area and staged the different airports within one. Hospital – We shot in the former children’s hospital in downtown Pittsburgh off 5th Avenue. It was a shell, so we brought in everything. We also shot in the train stations and the zoo, with no problems or heavy restrictions. 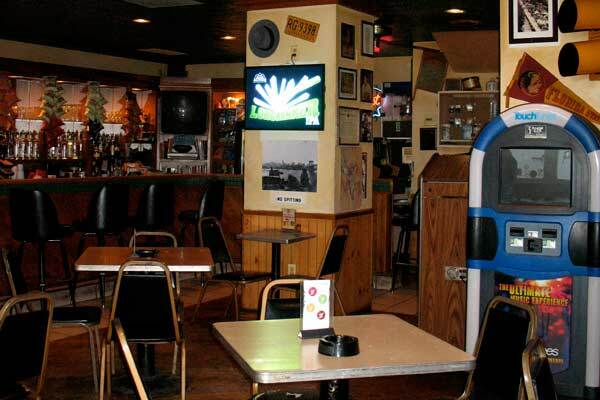 SD: What was unique to shooting in Pittsburgh? Doll: The bridges...OMG...there are so many bridges!!! And they put French fries on their chicken salads! And they love their Steelers! !